Mee Mee's Soft Bristles Kids Toothbrush is an ideal toothbrush for your baby. Once your baby has had all their milk teeth, it is the imperative to introduce them a proper toothbrush for oral cleaning. This toothbrush comes with a big handle that provides a better grip. The edges of this brush are soft and do not hurt your baby. 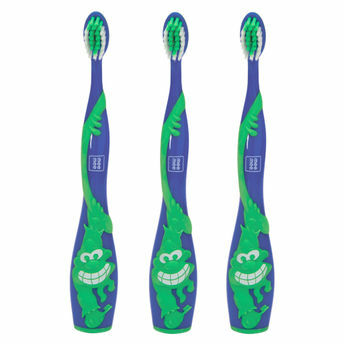 Ideal for kids aged 12 months and up, you can use this toothbrush daily for your young ones dental hygiene.